I’ve never had the chance to get my hands on a Kingdom Hearts game, but I’ve heard nothing but amazing things about them. The amalgamation of Final Fantasy and classic Disney characters is a series that is held close to a lot of gamers’ hearts, and those same people have been itching to know when the fabled third entry will be available. According to Goofy, it’s coming this year. 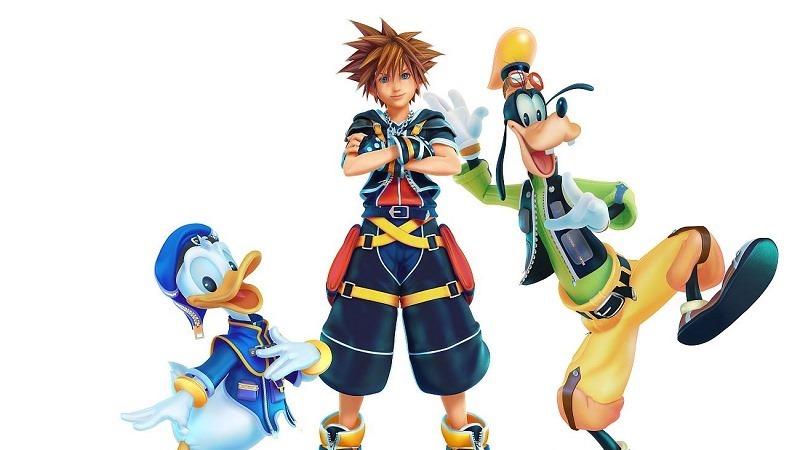 Voice actor Bill Farmer, who voices several characters for the game including Goofy, has confirmed over Twitter that Kingdom Hearts III will be coming this year. The news came after a fan questioned him about his role in the voice work, with Farmer replying that all the voice acting had been done and that the game was on track for the scheduled 2015 launch. The tweet has since been deleted, but Gamespot managed to grab a screenshot. @AlienCows It’s coming out sometime this year! There was a little confusion afterwards around whether Farmer was actually referring to Kingdom Hearts Re:Coded, but he later clarified that he was definitely talking about the sequel we haven’t heard much about since E3 2013. It seems his open Q&A session landed him in some hot water though, with the actor quickly stating that Kingdom Hearts III had no announced release date. The release date for Kingdom Hearts Three has not been announced yet! So does that mean Farmer was just blowing air out of Goofy’s patch pants for nothing? It’s possible, but it could just be a matter of him revealing information that he wasn’t supposed to at the time. That doesn’t mean for absolute certain that Kingdom Hearts III is coming out this year, but I’m sure it’s a pretty safe bet to assume so. Until that day comes though, you can check out the Honest Trailer for the series below, which just serves to remind everyone how convoluted and confusing it actually is. Charming, but mind boggling too.